We have the top three picks for this Tuesday, and below there is a list of bars and lounges that are always a good option. 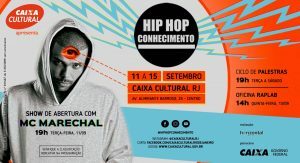 Hip Hop Conhecimento 2018 @ CAIXA Cultural (Centro) – CAIXA Cultural Rio de Janeiro hosts, from September 11 to 15, 2018 (Tuesday to Saturday), the project Hip Hop Knowledge, in what is its third year bringing together artists and professionals involved with Hip Hop culture. 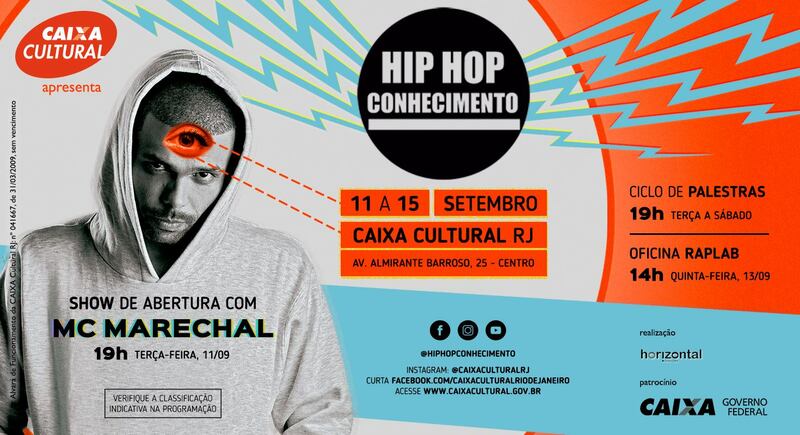 On this, the opening night, the event will host a MC Marechal show with an informal chat after the performance. The performance will start at 7PM – tickets are free but demand is high, so get there early to avoid disappointment! For more information, check the event page. 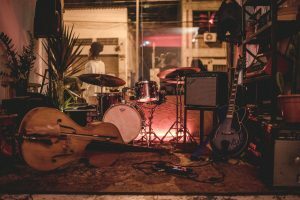 Yuval & Convidados @ CoLAB (Botafogo) – Every week, CoLAB opens its nightly programming by getting some of the best musicians in Rio’s instrumental jazz scene to perform live at their space. This Tuesday, Yuval Ben Lior will be bringing his unique brand of jazz, including elements of choro and samba. The Israeli musician also specializes in gypsy jazz, and has studied with the great masters of the genre, themselves disciples of the legendary Django Reinhardt. This should be a great free night for those interested in jazz, gypsy jazz, or both. The music should start at 8PM. For more information, go to the event page. B7DJ$ @ Ganjah Lapa (Lapa) – The Collective “B7DJ $” was born to bring the skills and the underground musical experience of the DJs of bloco 7 to the streets. This Tuesday there will both DJs Kibe and Padrão do Bloco7 in attendance. Kibe is DJ of Sain (Stephan Peixoto) and Padrão works with Akira President. 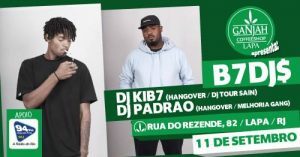 Both are from the North Zone and began their work as DJs of the Hangover party, Baile do Tio Will and Baile do Faraó, guaranteeing that there will be double as many heavy beats from these two. 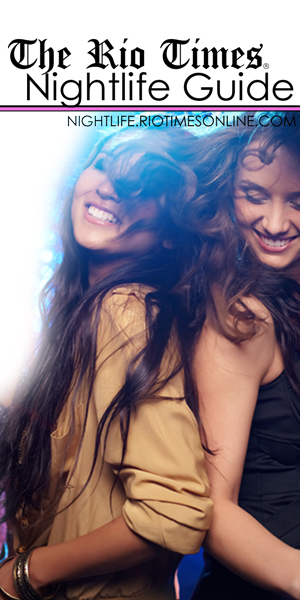 Tickets are R$5 and the night begins at 5PM. Botafogo’s favorite bar for undergrad students and hispters. Comuna is famous for its homemade burgers and variety of beer labels. The Canastra Wine Bar in Ipanema offers a wide choice of wines and cheeses and is quickly becoming known for its trendy atmosphere and friendly service. Located just around the corner from Posto 9, Blue Agave in Ipanema is well known for great Mexican food, drinks, and for broadcasting live sports. Additionally, most of the wait staff and crowd speak English. Entrance: FREE. Food and drink prices vary. Specialized in Afro-Brazilian and African food, Bar da Dida is a great option for authentic, soulful food one cannot find in any corner. Make sure to try one of its finger food that have already participated in the “Comida di Boteco” contest. Jack Arnhold is a British journalist living in Rio. He writes our real estate, entertainment, travel news and nightlife guides, helping others to explore the Cidade Maravilhosa.